A scientist experiments with crossing humans and plants, for which he uses his students. Some Horror films have to be seen to be believed, this is one of them. I actually only came across this film a couple of years ago, it seems to be a very obscure film that has stayed that way for a very long time and it's a real shame. The film stars the amazing Donald Pleasence, this is definitely one of his strangest roles but one he seems to have a lot of fun playing. You will notice the film has a very close resemblance to the classic film "Freaks" and that is not lost on the film-makers with some tongue in cheek scenes. The film has some gruesome scenes to satisfy fans and it has a fantastic score that adds depth and atmosphere to the film including a great script to boot. 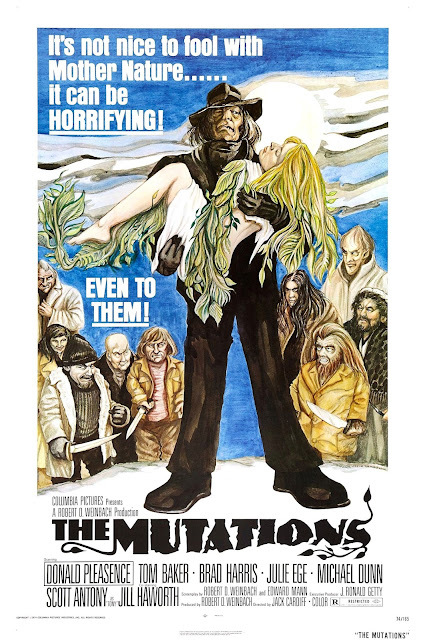 "The Mutations" isn't for everyone but if it is then you're in for a real quirky treat. 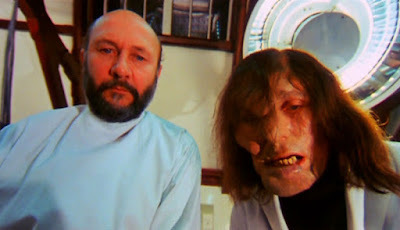 According to Tom Baker, while filming he and Willie Ingram, who went by the stage name "Popeye" for his strange ability to make his eyes pop far out of their sockets, used to frequent a bar across the street between shooting scenes. During one such outing a waitress made it clear through her attitude that she didn't approve of Baker, who is white, being friends with Ingram who is black. So to get back at her Ingram would make his eyes pop out when she would pass the table causing her to completely freak out, and then go back to normal while he and Baker would pretend nothing happened as she tried to point it out to other waitresses and patrons. According to Robert D. Weinbach the role of Professor Nolter was intended for Vincent Price but this was abandoned after difficulties with Price's agent.